of yours and of our eighteen young men. Seems terrorism is a business trend. We don’t call our autumn, ‘Fall’. almost a blurred white in hue. the milky clouds in sail. dewy grass, day’s foggy eye. and to rest in relief. *18 Indian soldiers were killed in a militant attack at Uri, Kashmir. Terrorists from neighboring Pakistan still keep trying infiltration bids. May be it’s a price India is paying for never ever being an aggressive country, a misfit in today’s world. Whenever India sent someone abroad it was always with message of Peace and Love from the days of the Buddha to the very recent times of the 19th century. She has been like this for the last 5ooo years and has seen the rise and fall of many a mighty empire. all over the dust in the open. I took one in my hand. and began singing in a liquid voice. This world turned shadowy; faded out. I enjoy my inner flights. and my dusk is turning into dawn. *Rabindranath Tagore. Though I’ve known him through words from my childhood (he loved children and had written so much for them) but very recently I have started translating his songs (in my new blog Sonar Tori) which have already started opening a new window to look at life, once more, in a different light. where sit deities with a smile. for all as Durga Ma comes home. where mirth and dream bloomed. *it’s a sweet smelling autumn flower that reminds us, the Bengalis, of the festival Durga Puja, when Goddess Durga is worshipped. Before the dawn begins its drift. 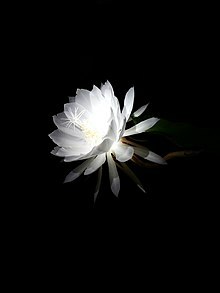 In the middle of night she blooms, the Night Queen spreading her white petals of fragrance. In the morning she droops and wilts. To see her in true splendor midnight is the only time. Once I saw this little white fairy with her winged petals. She was like a fragrant moon radiant in her petal-corona; she kept her attached to a green flower stalk in a corner. I switched off the light after a while and she remained visible in her scent. Then I looked up. There the moonless night showed up with her millions of night-queens twinkling. In one place was a huge question mark, glittering, perhaps asking me, how do we look, we the starry blooms? Of course they’re familiar to me from my childhood days, the seven brightest stars of the constellation Ursa Major, The Big Dipper. They are the Sapta Rishis, seven sages to us. My father first introduced them to me with the story of these seven Light Beings that children of our times knew. And now they carry his memory too. I still have the reverence for them that was inculcated into me from my childhood.